This book is about psychological disorders based on irrational fears – those apparently unmotivated, paralyzing, panic-filled, gutwrenching fears whose multiplicity and diversity are barely contained in the diagnoses phobias and obsessional disorders. The author, worldrenowned therapist Giorgio Nardone, offers a brief (usually less than 20 session) treatment method that leads to a change in the interpersonal, cognitive, and emotional organizations underlying these painful and all too-common problems. Therapists using a strategic framework focus on reframing patients’ representations of self and other, and on changing the relational patterns that sustain fearful perceptions. Based on extensive research and illustrated with in-depth clinical examples, this book offers hope to those whose lives have been unnecessarily limited by their phobias and obsessions. 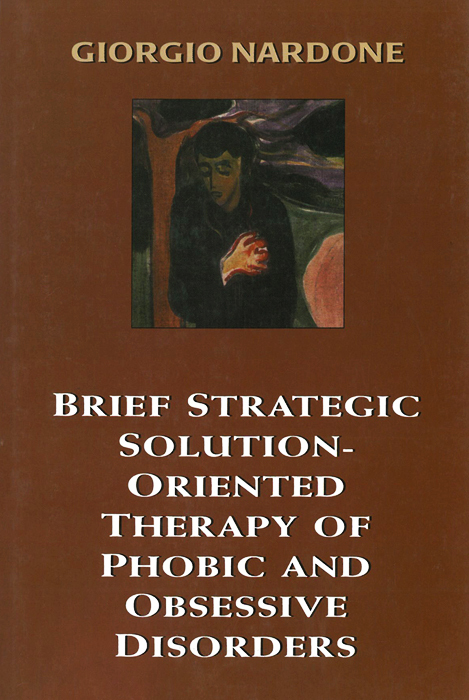 Strategic brief therapy, as developed by John H. Weakland, Paul Watzlawick, and Richard Fisch, is based on a very simple idea problems are accidentally maintained by our repeated, failed attempts at solving them. In this book, Giorgio Nardone uses the strategic brief therapy lens to focus on how particular troubles are accidentally maintained and how therapist and client can overcome them. The follow- up (79 percent resolved and 7 percent much improved) certainly points to the efficacy of Nardone’s approach.